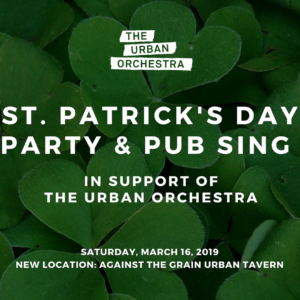 Celebrate St. Patrick’s Day and support The Urban Orchestra! The event will feature special guests performing in our very own pub sing and the chance to get lucky and win a prize. Pub fare will be available to order. All funds raised will go to The Urban Orchestra to help make our next concert possible.